Way back in the day, I was a defense contractor and one of my projects was located in Twentynine Palms, California. At that time I was vegetarian, and we didn’t have fancy apps like Happy Cow to show us the way. We had to ask people. 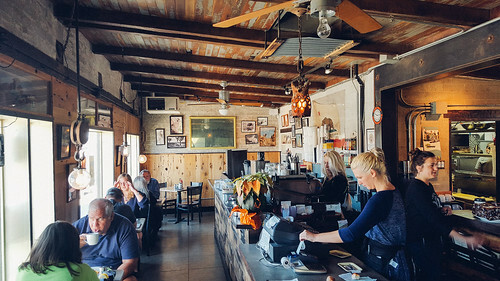 One person told me way back then about a place in Joshua Tree (JT) called Crossroads Cafe. From that moment on in 2005, I would drive each morning from 29P to JT for their delicious espresso and vegetarian breakfast. 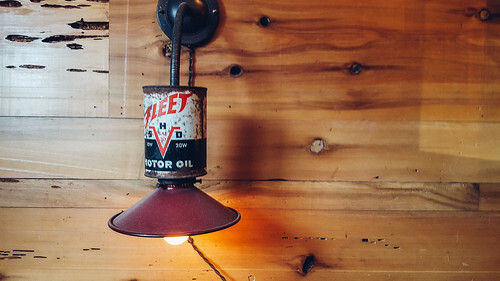 The desert-chic-vintage decor is funky and interesting. So I was really excited when today the stars aligned and we were able to venture out to Joshua Tree and of course brunch at Crossroads. The place is a little spot in a strip just feet from the entrance to Joshua Tree National Park. 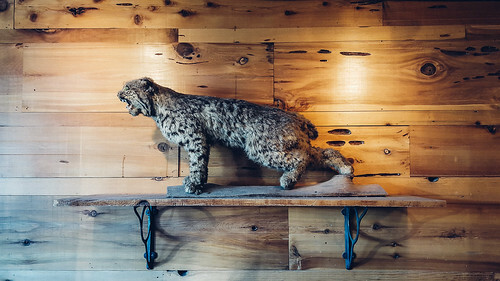 The rugged exterior belies the interesting history of the many years this place has been open. And while the sun is relentless in this Mojave town, the inside of Crossroads is a relaxing, yet sparse environment. The front of the restaurant is bright and open. 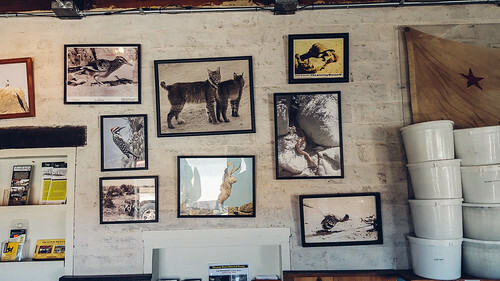 The walls of the cafe are decorated in a motor/taxonomy/desert theme with cool vintage flavor. The old California State flag behind the espresso bar was a really cool touch. There is a small bar to seat a few patrons, outdoor seating, and the remainder of the space is well laid out. The food is advertised as vegan and vegetarian, but they also had some meat options. I ended up ordering the Soyrizo Hash, with vegan ranchero, and Kristin ordered a tofu scramble with peanut sauce. My hash was really good actually, with just the right amount of spice. The heat lent a good flavor, with only minimal sniffling. The sourdough bread was really good, but the Smucker’s jams on the table left something to be desired. Kristin’s Tofu Scramble was not really a scramble. 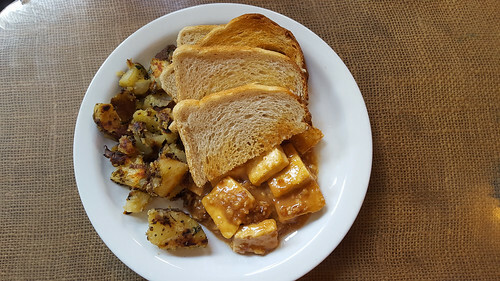 It was sliced up tofu pieces in peanut sauce with potatoes on the side. 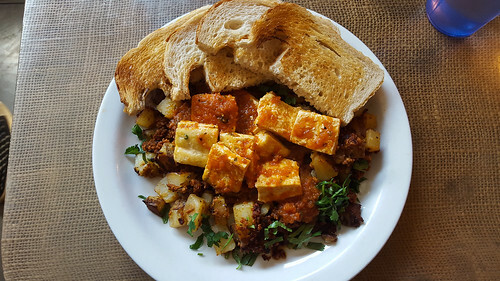 The flavor was good, but someone needs to learn the definition of a tofu scramble (I mean, we are Oregonian – brunch scrambles are like an Olympic sport). They had other interesting vegan options on the menu, including a vegan seitan philly sandwich. I might give that a go next time. After a day of hiking in the park, I stopped back on the drive to LA for a soy latte – just like I used to enjoy so many years ago. And, again it was a great coffee (triple soy latte medium was almost $8!). If you are vegan or veg and cruising through JT, be sure to duck into Crossroads Cafe! The vegan quesadilla, chili (order w/ no dairy), and seitan tacos are also really good. Awesome, Arthur! Thanks for the recco, will check them out next time we are at Crossroads!